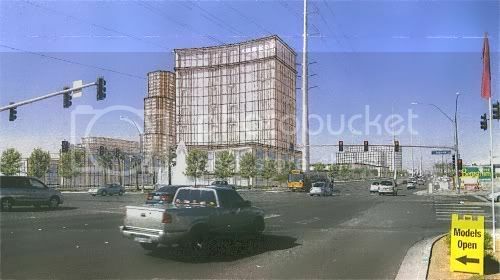 Las Vegas Real Estate Investment - Park Heights Cornerstone Redevelopment in Henderson - Update! 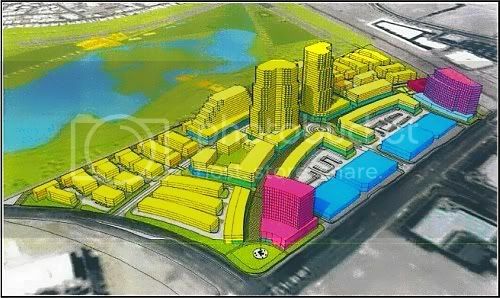 I recently blogged on GSG Development seeking Henderson Planning Commission approval for a 40 acre mixed use project on the Cornerstone Redevelopment Site. The location is a former industrial site around Stephanie and the 215 Beltway, next to an approved future Cornerstone Lake Community Park. The developers were seeking approvals for the project that would include 2 - 330' condo towers. The concerns or the planning commission were the heights of the towers and the potential traffic from the development. After being continued while awaiting completion of new renderings to show tower heights, and for traffic studies, the project has been voted on and approved by the planning commission. The city's traffic engineer believes that while there will be an increase in traffic in the area, the streets should be able to handle the flow as long as the project includes businesses that will handle daily needs, alleviating residents from making extra trips outside the development. The planning commission also restricted the height of the 2 tallest towers to 250', down from the requested 330'. 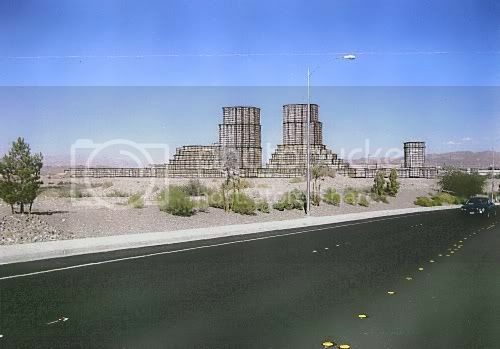 Even at that reduced height, if built they would become the tallest buildings in Henderson, approximately 20' taller than the current highest, Sunset Station's hotel tower. In an article from the Las Vegas Sun, they mention that GSG hadn't decided how they would address the new condo towers limit, or if they would attempt to seek council's approval of the original height request. In that article it states that GSG is still planning on moving forward with the project and hopes to open the first phase by 2011, at a time when they expect the economy to be moving forward again. There was no word in the article on how the project would be funded, a key component for major projects in today's credit crunch. Another mixed use project is being proposed in Clark County by a partnership of R&S Investment Group and St. Rose Place LLC, this one located across from Henderson's Seven Hills Dr. The 3.6 million square foot 'South Quarter' would be styled after the New Orleans French Quarter and cover 38 acres. Similar to The District at Green Valley Ranch, it proposes to have condos above retail units, but this would include 826 units in 3 - 4 story buildings. In addition their current plans call for office space, 9 screen theater, bowling alley, and 2 hotels offering a total of 259 rooms. A landscaped pedestrian trail is said to be designed to run through the 15 building proposal, that will be built in several phases. The first phase is tentatively scheduled to open in 2010, but no construction schedule has been announced and still in the county approval stages. While many projects are proposed, there are never any certainties that any will make it further than the drawing board. This has been the case with the Cornerstone Redevelopment Area, with others having come and gone, and numerous projects nationwide, even during the boom years. Still, I find it encouraging that there are those that have the vision to see the potential future of the Las Vegas Valley, even as we work our way out of these difficult global economic times. First Snow in Las Vegas - TSO Strikes Again!!! Relocating to Las Vegas from California - Warning!! !